Hours-long video chats can be great for staying connected to distant friends, but there's bound to be a lull in the conversation at some point. 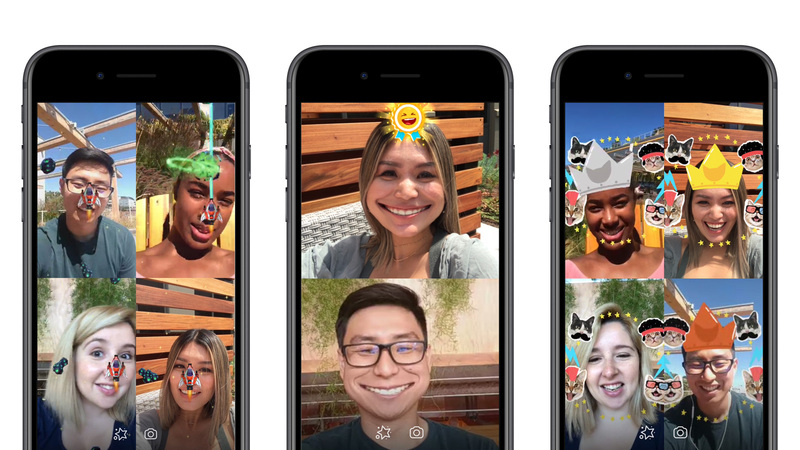 Facebook thinks it can liven up those quiet moments -- it's introducing augmented reality games to Messenger video chats in its mobile apps. As many as six people can play simple competitive titles that make use of your face. You just have to tap the star button and pick a game to let others know you'd like to play. Only two games are available today, but they're showcases for the technology. Asteroids Attack asks you to steer a spaceship around obstacles with your nose, while Don't Smile is a version of the classic staring contest for the smartphone era. Future additions will include Beach Bump (bouncing a ball between players) and Kitten Kraze (matching cats). There's no secret strategy here: Facebook is using this as a way to keep you immersed in Messenger chats where you might otherwise be tempted to hang up (or consider a rival service). It's also a recognition of a social reality. Many people practically live on their phones, and it's not uncommon for them to leave chat running during a study session or a lazy afternoon. This brings the games to where they're actually hanging out, rather than asking them to switch apps.